This broccoli salad is very delicious and a lot healthier than a lot of broccoli salad recipes you might come across (which use far more mayonnaise, or sour cream, or sugar). You can easily double this recipe if you want more leftovers or are serving a larger crowd. This should serve 2-4 people depending on if you’re using it as a side dish or eating a larger portion for lunch or whatever. 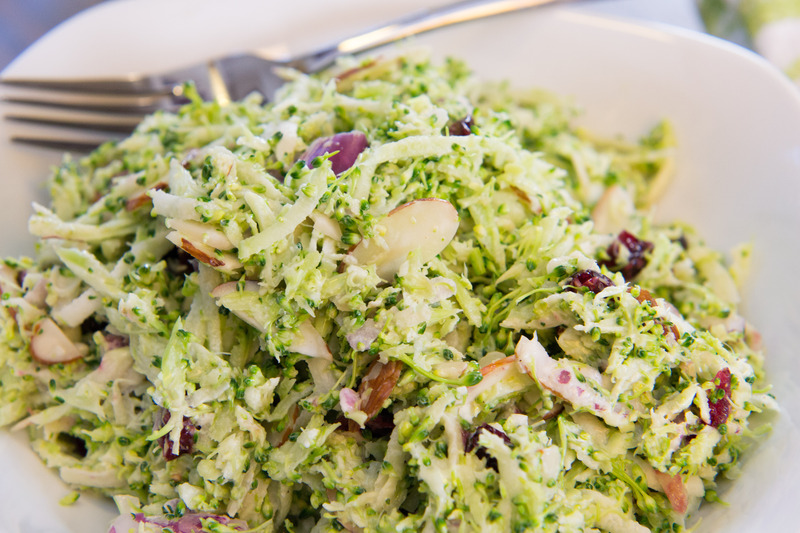 The salad has delicious flavor and a good crunch with added nuts and can easily be modified to use whatever ingredients you prefer or have on hand. Using the grater disk attachment of a food processor, shred the whole head of broccoli in a food processor (including the stalk). You can also run the onion through the shredder disk or just finely chop it with a knife. 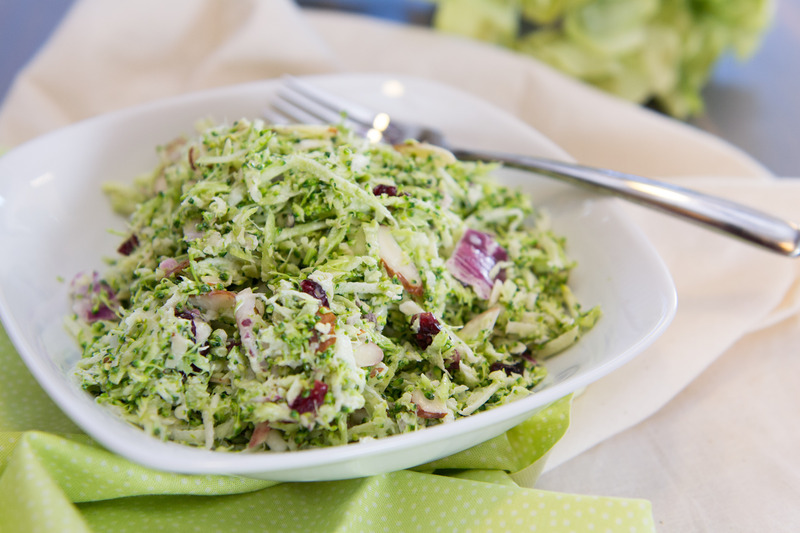 In a large bowl, combine the shredded broccoli, cranberries, onion, and almonds. Whisk together the mayonnaise, lemon juice, vinegar, sugar, salt, and fresh pepper. Pour the dressing over the broccoli mixture and stir to combine. Allow to sit for at least 30 minutes in the fridge so the flavors can mingle. You can also make this ahead and store overnight in the fridge before serving.